Hire Me For An Article With Unique, Error-Free And Well-Researched 750 Words Content. My name is Daniel. I am a writer, I write article contents. I love browsing and taking note of my subject. I am good at English. Moreover, I love writing. It has been more than 10 years I am related to writing features, articles, research and so on. I also worked as a feature writer in various National daily. My articles are engaging, informative, well researched, unique, error-free, SEO friendly and high quality. I try to keep the reader close to my articles. I want them to love my writing. I have impeccable writing and research skills and prior experience with content writing. I have the ability to write across different niches and I will meet up with deadlines. I also make use of grammar tools to ensure that there are no errors or plagiarism. 1.) I have been in the writing industry for over two and a half years now and learned all the tones and styles of writing. Furthermore, I have created content on an array of niches ranging from finance to technology and health. 2.) I have hands-on experience with SEO and WordPress. 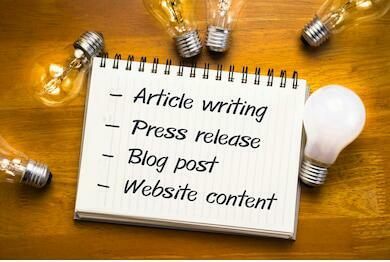 I can use these skills to provide content that scores high on readability and is SEO optimized. 3.) I adhere to timelines and deliver quality content within the timelines decided before beginning the project. 4.) With all that said, the main reason for applying for this job is my hunger for knowledge and writing. The job will provide me prospects for researching and writing. I love learning new things and creating valuable content that helps people in one way or the other. With my expertise in writing a broad range of content, combined with my outstanding interpersonal skills and commitment to exploring innovative and newsworthy story ideas and comprehensive topic coverage, I am positioned to benefit you significantly. Please, feel free to ask me any question, I'm open to discussion. I am ready for your choice. However, I am honest, punctual and moral. You can rely on me for your project. I will not let you down rather you will have a nice output for your project. Hire Me For An Article With Unique, Error-Free And Well-Researched 750 Words Content. is ranked 5 out of 5. Based on 1 user reviews.